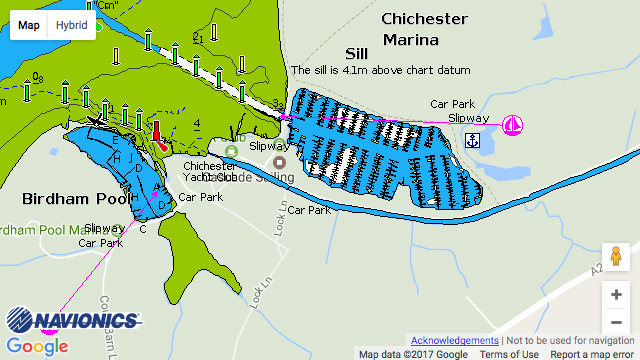 Chichester Marina (Premier): A first-class marina set in the beauty of a natural harbour and picturesque countryside makes Chichester Marina a wonderful destination marina and a worthy recipient of the Yacht Harbour Association’s Five Gold Anchors Award. Luxury facilities and a new boatyard complex – including a chandlery, retail, Yacht Club and cafe complete the picture. For visiting vessels a one to two night stay includes a total of £5 of electricity. Visitors also receive free WiFi. Premier’s roaming visitor night scheme ‘Great Escapes offers 7 nights for the price of 5 – visit www.premiermarinas.com. Monthly berthing rates are very competitive and are the best option for those looking to stay a few weeks.